Join Ian & Alan, for this fully catered photography holiday to capture images of the iconic Seals & their pups. Shooting throughout the day, alongside Ian & Alan, you will learn techniques that ensure that you leave with a selection of stunning images. Group size: 3 participants - fully booked. 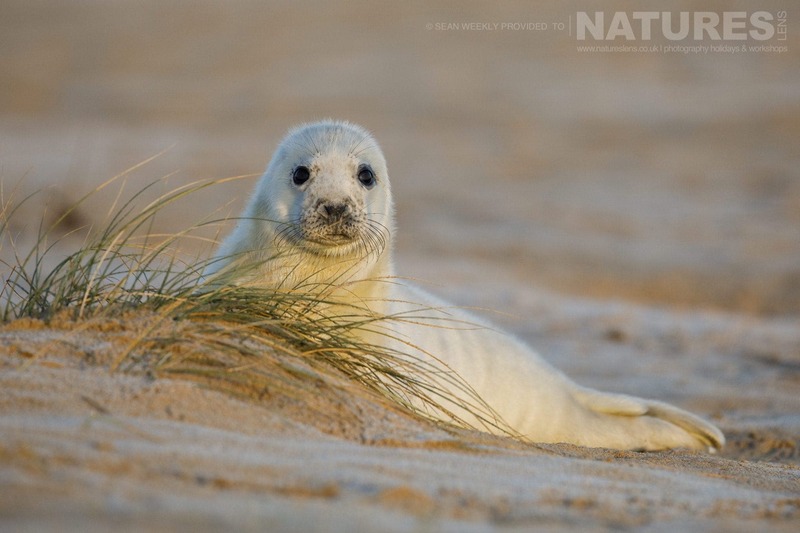 Join Ian & Alan, one of the guides for NaturesLens on a photography adventure to the picturesque coastline in Norfolk, home to an impressive population of Atlantic grey seals. Ian & Alan, our experienced photography leader will guide you throughout, assisting you in capturing stunning images of the Grey Seals, these endearing animals, whilst respecting their fragile natural habitat. 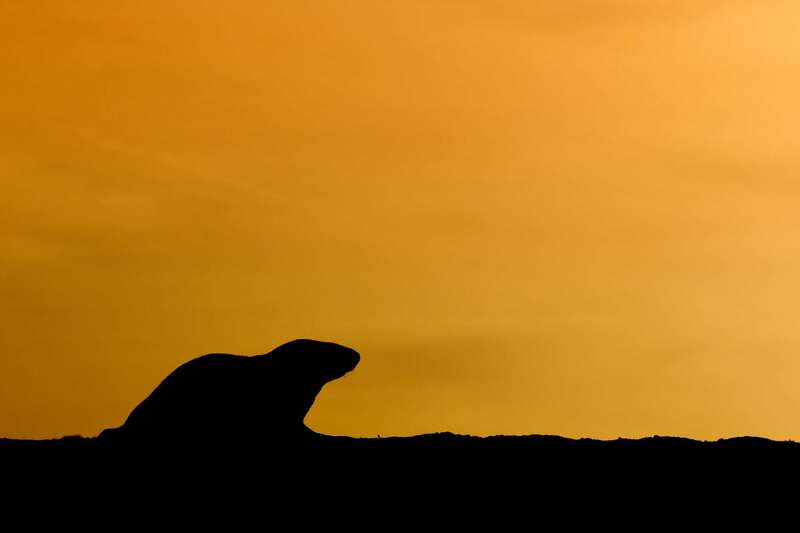 Sustainability is a key issue when it comes to photographing seals in this region, so NaturesLens have designed this photography trip to provide brilliant wildlife photography opportunities whilst behaving in a way which does not pose any threat to the native wildlife & environment. This trip is suited to both amateur & semi-professional photographers looking to add magnificent images of coastal wildlife to their portfolio. 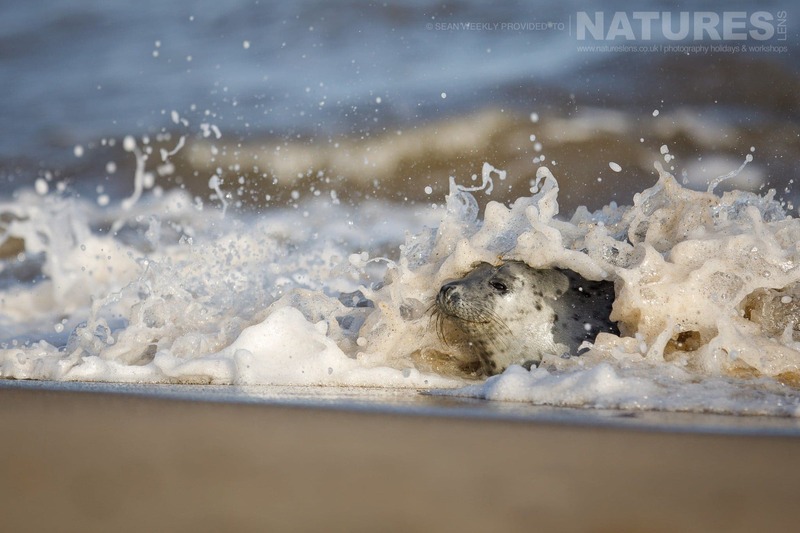 Join NaturesLens to capture images of the Grey Seals & their pups, in United Kingdom, during the Grey Seals of Norfolk photography workshop. This photography workshop is of day duration on a Full Board, Non-Shared basis & costs £999 per participant. 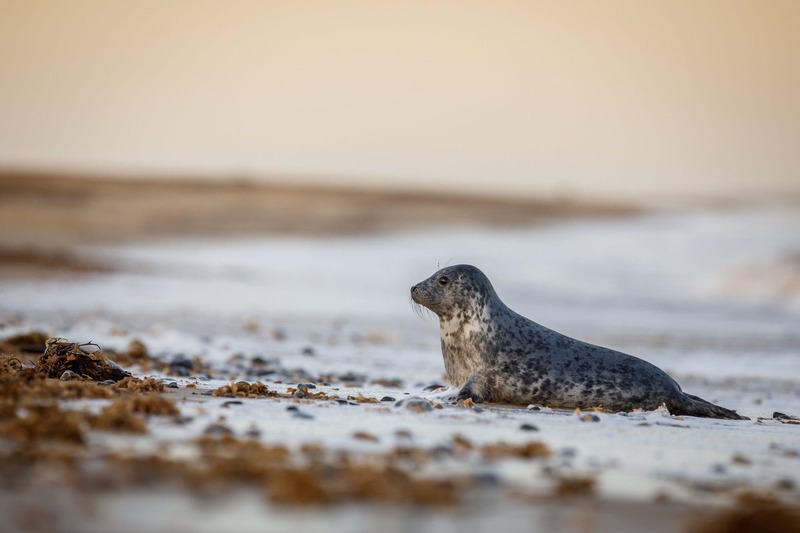 NaturesLens invites wildlife photographers to join a five night, six day photography holiday to the coastal areas of Norfolk, spending a week undertaking Grey Seals photography within this bleak & dramatic landscape. You will stay in a hired cottage, which will provide you with comfort & convenience so that you can focus on obtaining beautiful images to add to your portfolio. Shooting from dawn to dusk under the guidance of Ian & Alan, you will learn techniques that ensure that you leave with some stunning images captured throughout the days on the beach. The cottage we use is located very close to the beach & dunes, which are used by the seals. The cottage location means no long walks to the seals & ensures excellent viewpoints from which to capture them on camera as they rest & interact with one another. Wildlife photography of the Atlantic grey seal population has been a contentious issue in recent years, & therefore ethical & respectful photography practices are necessary to ensure that the seals & the environment do not come to any harm. NaturesLens have put together this photography holiday with issues of sustainability & animal welfare in mind by designing a schedule which allows wildlife enthusiasts to undertake Grey Seals photography first-hand & capture memorable images, all the while being mindful of their welfare & what precautions are necessary to protect their natural habitat. There will be two main photography sessions per day; one early session from before the sun comes up & the second taking place in the late afternoon & evening as the sun goes down to make the most of different lighting & tidal conditions. At all times, Ian & Alan, your photography leader will guide you during the photography activities & will be mindful of the seals, preventing any disturbance of the animals by keeping at a safe distance from both adults & pups, while using longer lenses to capture the best possible images. This holiday includes five nights accommodation in a gorgeous cottage on a dinner, bed & breakfast basis. Your meals will be warming, homely & plentiful to get you warmed through & filled up after a long day on the beach. Numbers are limited to ensure that the trip is sustainable, ethical & enjoyable for every photographer, so make sure you book early to avoid disappointment! The guides were friendly & helpful & had extensive knowledge of the place, therefore always could recommend a place for any time of day & kind of light. Sorry, all the available places for this photography workshop, Grey Seals of Norfolk, have already been reserved; however, if you would like to be placed on a waiting list in case of any cancellations or to be notified should we decide to run another of these trips, please fill in the form below. Before booking, it is important that you read the relevant photography workshop event page & our Booking Terms & Conditions. If you have any doubts regarding your suitability for this photography workshop, please contact us. To book, simply click the relevant link from the event page on our website. You will then be sent a booking form & a copy of our terms & conditions. In order to secure your place on the selected photography workshop, simply complete the booking form with details of all persons travelling & holiday indemnity, in relevant cases, & return to us (either by email or by post) with confirmation that the deposit has been paid. Payments should be made via bank transfer. For this photography workshop, we recommend that you bring the longest lens that you own whether this is a 400mm, 500mm or 600mm. If the longest lens you own is a 300mm lens but you have a 1.4x or 2.0 extender this would be suitable for our workshop. In fact, you should pack your extenders as this will allow you to further vary your focal length on this photography workshop. Similarly, if you own a 100-400mm lens, this would work too. We recommend that you bring weather covers to protect your expensive lens from the weather in case it rains or you get caught in a sudden sandstorm. You should also pack a tripod that can go down low on the ground or beanbag to help steady your lens. This will come in very handy when you are trying to capture eye-level shots of the seals. For this photography workshop, the weather can be changeable so we would recommend that you pack layers of thin fleeces or mid shirts & jumpers since you can remove items of clothing as you start to warm up. You don't need to bring camouflage clothes but please do pack neutral coloured clothes so that you blend into the landscape. You should also bring a warm waterproof coat & waterproof trousers in case it rains, so you are covered for all eventualities. Don't forget to pack sensible waterproof walking boots & a warm hat to protect your head in case it is windy. The photography workshop itinerary is subject to change & is to be considered provisional. NaturesLens photography workshops require a minimum number of participants in order to be viable. If this minimum number is not met, the photography workshop may not go ahead. This photography workshop has a minimum participant level of 3 plus NaturesLens guide(s). In the event that the minimum number for a photography workshop to go ahead is not reached, NaturesLens reserves the right to cancel any given photography workshop. In that event 100% of monies received will be returned. However, NaturesLens is not responsible for expenses incurred by its customers. NaturesLens reserves the right to accept or decline any person as a member of any photography workshop. Payment of deposit by photography workshop participants or their representative constitutes their acceptance of all conditions contained herein. & takes place in Norfolk in the United Kingdom, between the dates of 24th - 29th November 2019. It is ideal for photographing common seal, grey seal & more. This photography workshop is led by Ian Roberts & Alan Hewitt for NaturesLens. Group size for this photography workshop is a minimum of 3 participants & a maximum of 3, plus Ian & Alan. We consider this to be an event of Easy level of exertion, if you have any questions about your suitability for this event, please contact us prior to making a booking enquiry. The photography workshop starts & ends at Great Yarmouth. .
Full payment is required to secure a place:, £200 payable upon making a booking. Bookings close: October 1st, 2019. Join David Miles for the Spring Birds of Lake Kerkini to capture images of the spring birds & other wildlife of lake kerkini, in Kerkini, during June 2019, this photography holiday is offered on a full board, non-shared basis. Join Alan Hewitt for the Spanish Birds of Calera to capture images of the owls, kites & other birdlife, in Calera y Chozas, during April 2019, this photography holiday is offered on a full board, non-shared basis. Whatever your query regarding our photography holiday, Grey Seals of Norfolk, please fill out your details below & we will get back to you.